California’s Department of Fair Employment and Housing has spent the last several years strengthening protections for California employees and making it easier to file complaints and trigger official investigations. The efforts have resulted in a significant uptick in the number of complaints and lawsuits brought over the last few years. A recent report from the DFEH chronicles the rise in the number of complaints and their nature. 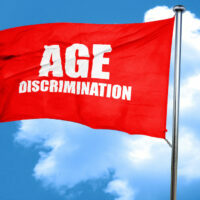 Continue reading for details about age discrimination cases on the rise. If you have questions about discrimination claims brought by or against you or your organization, contact a skilled California labor and employment lawyer. The DFEH recently released its annual report on the complaint and litigation trends in the area of employment discrimination. The report details complaints filed throughout the state in 2017 concerning unlawful discrimination in employment, housing, and public accommodation, as well as human trafficking. The report tracks both the number and the types of allegations filed, along with their bases, and the settlements obtained by the DFEH throughout the year. The DFEH tallied 24,770 complaints of discrimination in 2017, including 12,872 requests for an immediate “Right-to-Sue” as well as 11,907 intake forms. A “Right-to-Sue” allows a complainant to forego DFEH’s investigation process and proceed directly to a lawsuit in a civil court alleging violation of California’s Fair Employment and Housing Act (FEHA). The nearly 25,000 complaints in 2017 represent a 5 percent increase from 2015 and 2016 and a greater than 30 percent increase from the 19,000 complaints in 2014. Ninety percent of the complaints were employment-related. 19,032 of the complaints in 2017 resulted in formal charges filed by DFEH, including 12,872 employment complaints filed along with a Right-to-Sue request and 6,160 complaints filed following intake interviews conducted by DFEH investigators. Employment rights activists credit at least some of the upward trend to the DFEH’s new case filing and management system, known as Cal Civil Rights System (CCRS), which allows employees and tenants to file complaints online. These complaints can precipitate state-led investigations. Employees can use CCRS to check on case status, submit reports and documents, request right to sue letters, and make public records requests. As for location, the majority of the complaints (5,714) were filed in Los Angeles. In Northern California, Sacramento had more overall complaints filed than San Francisco, with 910 compared to 660 from San Francisco.